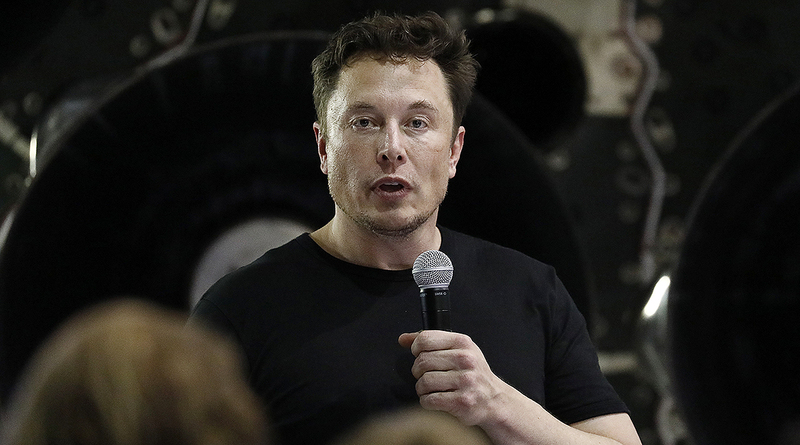 Elon Musk will give up the role of Tesla Inc. chairman and pay a $20 million penalty to settle fraud charges brought by the U.S. over his claims about taking the company private. Musk will get to keep his job as chief executive officer and remain on the company’s board, but must resign as chairman within 45 days and can’t be re-elected to the role for three years as part of the accord reached Sept. 29 with the Securities and Exchange Commission. Tesla also will pay a $20 million fine. Neither Tesla nor Musk admitted wrongdoing under the settlement, which was reached two days after the regulator sued the billionaire over his tweeted claims to have had the funding and investor support to buy out stockholders at $420 a share. The deal eases uncertainty over Tesla’s future while removing Musk from a key role at the automaker he’s led to become one of the most valuable in the world. The SEC’s lawsuit had sought to bar Musk from serving as an officer or director of a public company, a prospect that rattled investors. Tesla shares plummeted 14% Sept. 28, the biggest drop in almost five years. Musk will purchase $20 million worth of the company’s stock in the next trading opportunity, according to a person familiar with his plans. He’s Tesla’s largest shareholder, with a 20% stake. While the 15-year-old company has never earned an annual profit, Tesla’s CEO has vowed it’s on the verge of making money and stemming cash burn that’s exceeded more than $1 billion in recent quarters. He’s made these assurances in large part due to progress Tesla has made in producing more Model 3 sedans — the first electric vehicle Tesla has tried to mass-manufacture. The settlement requires that Tesla appoint two new independent directors and establish a committee of independent board members. Tesla had come under criticism for years prior to Musk’s take-private episode for lax governance, though shareholders sided with the board in June by voting against an independent chairman measure and approved the re-election of two directors. Steven Peikin, co-director of the SEC’s Enforcement Division, said the resolution is intended to prevent further market disruption and harm to Tesla investors. The SEC filed its lawsuit Sept. 27, less than two months after Musk tweeted — falsely, according to the agency — that he secured funding to take the company private. He arrived at the $420 a share figure by assuming a 20% premium on Tesla shares and rounding up one dollar because “he had recently learned about the number’s significance in marijuana culture,” and to impress his girlfriend, according to the SEC’s complaint. The settlement doesn’t resolve investors’ lawsuits, which were significantly strengthened by the SEC’s complaint. It revealed facts based on e-mails, documents and interviews that private lawyers haven’t gained access to yet, giving them a better chance of withstanding Tesla and Musk’s attempts to get the shareholder suits thrown out, legal experts said.